The podcast was recorded at an April 17, 2013 meeting sponsored jointly by the Jersey Shore Public Relations and Advertising Association and the New Jersey Chapter of the Public Relations Society of America. A panel of journalists described how the rise of social media is changing the news gathering and reporting process. 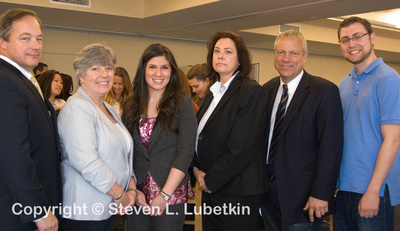 More than 75 communications and public relations professionals attended. GINA COLUMBUS serves as APP staff writer and joined Gannett’s Talent Development Program in 2012. Columbus serves as a metro reporter and writes lifestyles and features pieces, developed in the multiple media platforms. Columbus launched her career as a Newsroom Intern. As Editor-in-Chief of The Outlook, Monmouth University’s student-run newspaper. Columbus has a B.A. in Communication from Monmouth University. ALLISON GIBSON, Assistant News Director at News 12 New Jersey, has held this post for the past 17 years, working to launch the channel in March of 1996, and establishing it as New Jersey’s own television station and place to go to for local news. Previously, she had worked as a producer, executive producer and assistant news director at the CBS affiliate in Roanoke, Virginia. Allison got her start working in Public Radio, and counts meeting boxer Muhammed Ali as one of her big career moments. SALLY PAKUTKA is Manager of News Aggregation at the Asbury Park Press. She began her career with the Press in 2001 as Editor of New Publications and was named Local News Editor in 2010. She started her current position in January. Sally has been a newspaper journalist for nearly three decades. She previously worked at the Courier News in Bridgewater and the Herald News in Passaic. CHRISTOPHER SHELDON serves as Long Branch-Eatontown Editor with Patch.com. He has worked at two hyper local news publications before joining Patch, including the Westerly Sun in Rhode Island and the Ocean Star in Point Pleasant Beach. A life time resident of West Long Branch, Sheldon earned a B.A. in journalism from the University of Rhode Island. BRIAN THOMPSON, Reporter, NBC4 New York is an Emmy Award-winning reporter. Prior to joining WNBC, he worked for five years in Washington, D.C. He earned a New York Emmy-award for his work on a NBC New York’s political series. He has been cited by the Associated Press for Best Coverage by a New Jersey-Based Correspondent. Thompson received a Bachelor of Science Degree in Broadcast Journalism from the University of Florida. You can see more photos from the event by clicking on the thumbnails below. If you’d like to purchase any of these photos, please visit our online gallery.